What's up with Curtis? This book os about Curtis. He's a very sweet ratboy, but he's also a bit weird. Curtis has autism and therefore often behaves differently from other rats. Most rats around him find that difficult to understand. Fortunately Curtis has two friends who think it's fun that he's different. David Barth (1998) has Asperger syndrome, a type of autism. He started drawing when he was very young. In this book he uses that talent to explain what it's like for him to have autism. 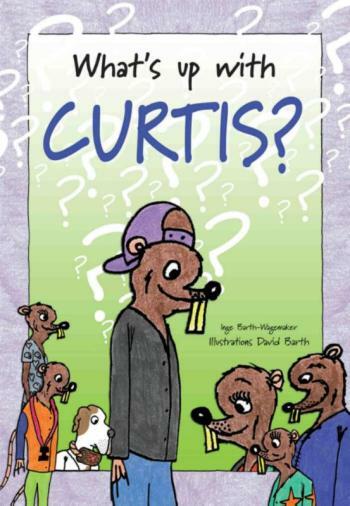 In What's up with Curtis? David shows in his own way what it's like to live with autism. Relevant information and practical advice was also added.